ASUS is one of the first manufacturers to update its gaming laptops with Nvidia RTX GPUs. The GL704 is one such model and is one of the most compact 17-inch gaming laptops on the market. Read on to see what, if any, performance boost the RTX 2070 brings and how it affects cooling. If we were to overlook the entirety of options available for those looking for a gaming laptop and just concentrated on the ASUS ROG branding the question you have to ask is does this stand out from the pack? Despite the controversial results in the gaming tests ASUS ROG GL704 (SCAR II / HERO II) is certainly an incredible device. We are happy to see how manufacturers find ways to put extremely powerful hardware in ever so smaller form factor. In the past, when one would hear about a GeForce GTX 1070 on a laptop, one would imagine Acer Predator 17, Alienware 17 or even MSI Titan. However, lately things have changed and we see more powerful Razer laptops, as well as MSI’s GS75 and ASUS’s own Zephyrus line-up. In order to compete with them, ASUS had to upgrade their ROG line-up as well. This resulted in the GL704, which is somewhere on the balance point between gaming ultrabooks and monsterbooks. 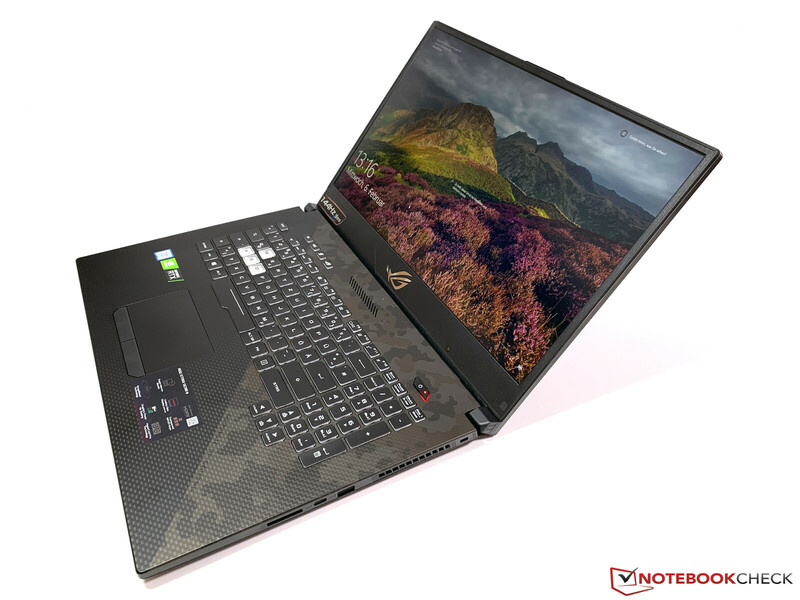 NVIDIA GeForce RTX 2070 (Laptop): » Further information can be found in our Comparison of Mobile Graphics Cards and the corresponding Benchmark List.